New trust to be formed for Dame Vera Lynn? THE North Yorkshire Moors Railway is considering setting up a subsidiary trust to take on the long-term overhaul and management of Riddles WD 2-10-0 Dame Vera Lynn. However, it is understood that its ultimate ownership will be retained by the North Yorkshire Moors Historical Railway Trust, in accordance with the wishes of the late Clifford Brown, who donated the locomotive to the NYMR. 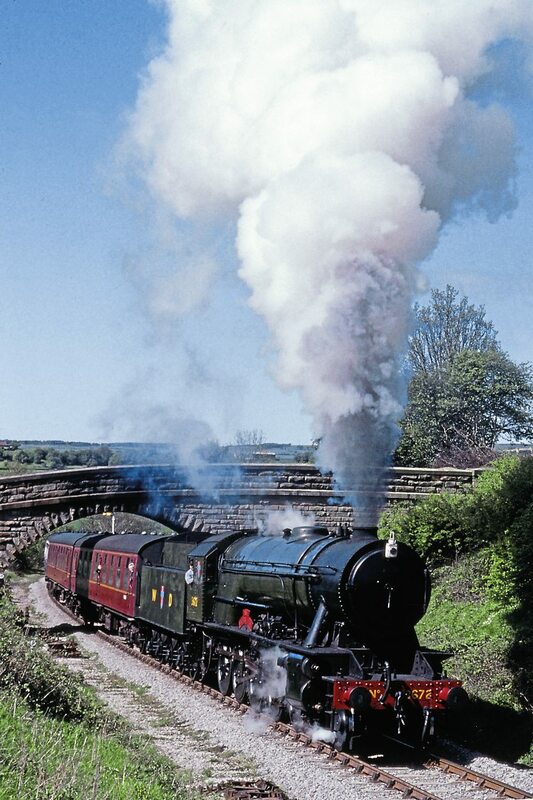 The new trust is likely to be formed around the nucleus of the support group who have already raised around £100,000 towards the projected £750,000 cost of overhauling the engine, which ran over 100,000 miles on the NYMR in the course of its first 10-year boiler certificate after restoration but has been stored ever since. The move is felt to be necessary for a number of reasons. One is that the NYMR’s focus on its ‘Yorkshire’s Magnificent Journey’ appeal means that all other fundraising activities by the trust have to be suspended, but independent groups are exempt from this restriction. Although BR had some Austerity 2-10-0s, there is no evidence that either these or the much more common 2-8-0 version ever worked to Whitby.